Testing Watts of 250W motor- anyone know how? I just imported a few hundred 250w brushless hub motors. I need to have them tested to show that they are in fact 250w and not more. I could not find any professional here that could run the test for me and provide a document with the results for the customs authority. Does anyone know how this test would be done and what equipment is needed to perform of? I had no problem getting in the lifepo battery packs or the other electrical components but for some reason they won't let my motor in before providing them with this test. Re: Testing Watts of 250W motor- anyone know how? You failed to tell us much detail! What country are you referring to? What type test is required? What voltage is used? --Power of electric morors is dependant on mechanical load applied, as well as amperage and voltage available! If there is no limit to the power source, most electric motors are capable of much higher than rated power for short time operation, but will overheat if such operation is continued for a long time. (A good 250 watt motor may produce 1,000 watts for 30 seconds)-Another way to look at it, is to compare mechanical output (Horsepower) to rated electrical input--If the motor is rated at 48 volts and 5 amperes, that would be 240 watts power input. 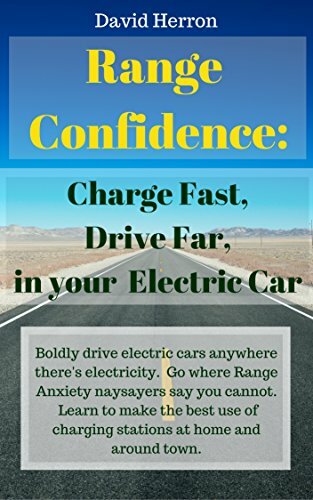 --- If the motor produced 1/3 horsepower output, that would be 248.66 watts.--An EXTERNAL electrical circuit can limit, or control MAXIMUM power, by limiting available amperage to the motor. You failed to tell us much detail! What country are you referring to? What type test is required? What voltage is used? --Power of electric motors is dependant on mechanical load applied, as well as amperage and voltage available! If there is no limit to the power source, most electric motors are capable of much higher than rated power for short time operation, but will overheat if such operation is continued for a long time. (A good 250 watt motor may produce 1,000 watts for 30 seconds)-Another way to look at it, is to compare mechanical output (Horsepower) to rated electrical input--If the motor is rated at 48 volts and 5 amperes, that would be 240 watts power input. --- If the motor produced 1/3 horsepower output, that would be 248.66 watts.--An EXTERNAL electrical circuit can limit, or control MAXIMUM power, by limiting available amperage to the motor. The country is Israel and the motor is a 36v brushless hub motor for electric bicycles. It is a 250w motor but I do not know much more than that. The customs authority requires a test on motors that are imported to show that the motor is not above 250w before releasing the goods. My question is what type of test could be done to prove this and why is it that the standards authority of israel Is having such a difficult time performing this test. You basically need a small dynamometer. Power = Torque * Speed. Measure those two things simultaneously while you load the motor, and you'll know your power output. Is this 250W at max speed OR max torque? All conditions? It's going to exceed that. As a previous poster mentioned, you can put more electrical power into it, you will get more electrical power out and you will exceed 250W. You may overheat it, but you will exceed it. You will need another specification, like '250W continuous' or '250W @ 36V'. Measuring speed is trivial. The equipment you need to measure torque directly isn't cheap. Alternatively, you can calculate torque by measuring acceleration, but it will require knowing your the inertia of your load.